We'd like to warmly welcome you to "The Purse Workshop!" Here you'll learn to create your own designer bag using simple techniques, and also how you can add that little bit of razzle dazzle. Find out how to make yourself a purse from start to finish. Yes - that's right - we'll include everything you need to know. Interested? You know, the best part is that we are not just going to show you one way to do things, oh no! 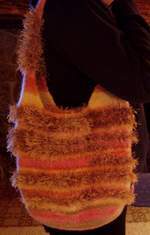 We are here to teach you how to Knit Crochet Sew and Felt some fantastic bags. And if that's not enough, we are also including some great ideas for embellishing them too. Don't know how to do something? Not a problem! 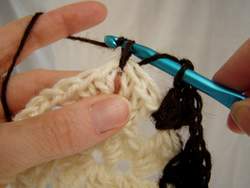 You'll find easy to follow instructions for basic knitting and basic crochet stitches and techniques as well as felting instructions. You'll also find useful tips and troubleshooting suggestions. All of this will enable you to create your very own perfect, designer, one of a kind purse. Still want more? Okay, learn how to sew up your bag and finish it to perfection. Whether it is picking the perfect closure or choosing the ideal lining, we'll show you how to do it! Pizzazz - is that what you are looking for? Look no further...for what is a bag without that WOW! factor? Embellishments add that finishing touch to any handmade item which makes them look professional! Find out how to embellish with style and without too much effort. Looking for superb original patterns for all kinds of purses and bags? It's ALL here...some will even be FREE! We'll even issue a monthly newsletter with lots of fun and interesting chat about bags and more. In short...if you want to make a purse or a bag, you're in the right place. Are you ready to get started? Okay, just grab a drink and settle in to your chair. Welcome to The Purse Workshop! The Purse Blog keeps you up-to-date with all additions and changes to thepurseworkshop.com Web site and more. Subscribe here. Crochet is a versatile and ancient craft. 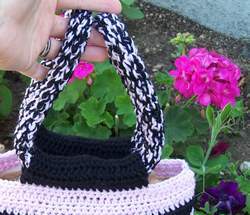 Find out how to crochet purses and bags, and add a new and creative pastime to your repertoire. Free knitting instructions and basic techniques. Also, some of the positives of learning how to do this wonderful pasttime. Learn how to sew perfect seams. 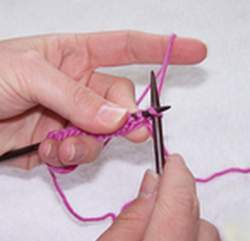 Basic stitches and free instructions for stitching knitting, crochet or fabric. 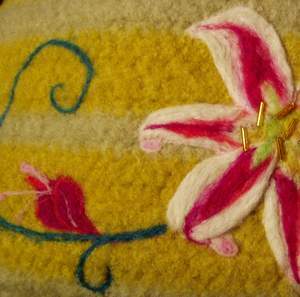 Felting is a craft which is enjoying a revival right now. The craze is sweeping everywhere - find out how you can do it too. Purse Handles - Will You Make Them Or Buy Them? Purse handles can make or break the look of your bag. Be sure you make the right decision for your own purse and check out these neat ideas. Fasteners! Every cool bag needs a great closure! 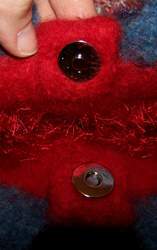 Learn here about different options you have for adding a fastener to your bag or purse! Free purse patterns for you to use. 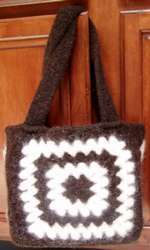 Find some fun, easy and free patterns for purses and bags for you. These purse ideas may just spark some inspiration for you. Check out these great pictures and make a purse just for you. Find out about us! This is a brief history of how The Purse Workshop was born! 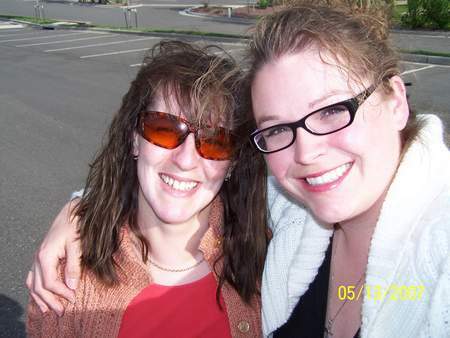 Contact us at the purse workshop and ask Jill and Marly a question you just have ot know! The Purse Workshop Monthly is an newletter for the purse and bag making enthusiast. If you want to know what is happening in the world of this wonderful accessory join in the fun!